Smartphone owners have a lot of options for streaming music these days, and if a new challenger doesn't get off to a good start, it could easily get left in the dust. How is Nokia planning to keep up with the likes of Spotify and Pandora on its upcoming Windows Phone? By conscripting Echo Nest, the folks behind iHeartRadio and Spotify's own song-finding features, to pull the playlist picking strings behind Nokia Music's Mix Radio. Using a lightweight browser app, Mix Radio assesses your appetite for beats with a "taste profile" derived from your music library, and uses the data to generate personalized radio stations. The outfit is calling it the "most personalized global music service the world has ever seen." Nokia Music also offers 100 professionally programmed streaming stations and roughly 15 hours of downloadable programming. Echo Nest told us we'd hear more from Nokia itself soon, but if you just can't wait, hit the break for the song-picking puppet master's own press release. 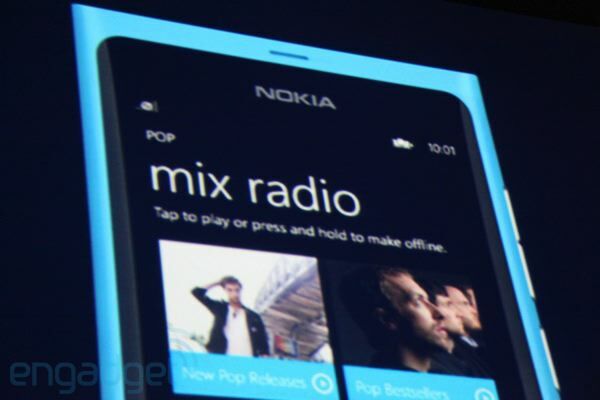 Nokia Music joins the auto-playlist club, brings Pandora-like song-finding to Lumia 800 originally appeared on Engadget on Tue, 15 Nov 2011 09:00:00 EDT. Please see our terms for use of feeds.